As commercial organizations continue to meet the lions’ share of bandwidth requirements for the Department of Defense (DoD), there is a growing opportunity to move to commercially-managed services and entire platforms that would save the government money, boost security and improve operations. Keeping pace in ground and space architecture today is essential given the growing volume of data and ubiquitous mobility requirements. The continuous introduction of new technologies by the commercial satellite industry means that the federal government must look for more effective ways to use commercial bandwidth as outlined in the USAF SMC Pathfinder initiatives. Other factors driving the interest in commercial SATCOM options for military communications include the regular replacement of aging equipment, resiliency, increased capacity, efficient network management and the introduction of evolving solutions for protected (anti-jam) communication. Advocates such as the Defense Information Systems Agency (DISA) and increasingly, the Services, favor using commercial satellite communications to increase the availability, flexibility and resiliency of military communications. According to recent market research by Markets and Markets, the global military communications market is estimated to grow from $23 billion in 2015 to nearly $41 billion by 2020, at a compound annual growth rate (CAGR) of 12.1 percent from 2015 to 2020. The satellite landscape for military satellite communications (MILSATCOM) has shifted in recent years reflecting the core capabilities of commercial providers to effectively serve military SATCOM requirements. It is common wisdom that during the peak of the Iraq and Afghanistan wars, commercial providers were supplying an estimated 80 percent of space segment to the military. The US Government currently operates several satellite constellations, but each of these is hampered by lingering issues limiting their use. The military owns and operates its Advanced Extremely High Frequency (AEHF) satellites, operated by the US Air Force Space Command to relay secure communications for the US and key allies. AEHF is a very capable but expensive system that serves a great purpose in the event of a nuclear war; however, lower cost options that meet the majority of requirements for such a system are evolving. In addition, the system is hampered due to delays in the terminal segment (in particular the Family of Advanced Beyond-Line-of-Sight Terminals [Fab-T])—a common occurrence when the space, ground and terminal segments of a major DOD communications program are treated individually versus as an overall single system acquisition and design as is common in commercial industry. Two additional examples of troubled military satellite programs include the Mobile User Object System (MUOS) and the Transformational Satellite Communications System (TSAT). MUOS was considered the next generation narrowband MILSATCOM system intended to support a worldwide, multi-service population of users in the ultra-high frequency band. Although MUOS can operate in its legacy UHF mode, the system continues to lack an available terminal capable of operating in the improved modes that the satellite was designed for—even though the first MUOS satellite was launched more than three years ago. Additionally, the TSAT program was a DoD program sponsored by the US Air Force for a secure, high-capacity global communications network serving the military, NASA and the US intelligence community. Yet, TSAT was projected to overrun badly and was again hampered by the separation of the space, ground and terminal segments of the overall program and was ultimately canceled in 2009. The Wideband Global SATCOM (WGS) satellites and program have been more successful, in part due to the commercial roots of the core spacecraft bus and a digitally transponded (bent pipe) versus fully processed payload. This has allowed numerous commercial providers to design terminals for the system which are then qualified by the DoD. As we move to the future, multiple terminal providers will be able to add protected communications capabilities to their designs. This is one reason why commercial providers see COMSATCOM as the wave of the future for MILSATCOM. As we move forward, current evolving commercial capabilities include multiple terminal manufacturers building for open architectures, new levels of protection on commercial satellites and terminals, and dramatic increases in Ka-band capacity. There are three areas where commercial satellites better serve military needs than dedicated DoD platforms. The first is terminal availability. The commercial industry works on ground, space and terminal segments in parallel. There is much more coordination in the development phase, which is more iterative, in general, than MILSATCOM programs. The end result is a system roll-out in which the space, ground and terminal segments are concurrently available and the option to go to multiple terminal developers is available through an open standards based design and qualification process. This approach allows for advances in the overall system design through the upgrade of terminals or ground systems as compared to the satellite itself, a great example being upgrades for protected communications. Secondly, commercial satellites provide a more resilient and inherently redundant capability for military users due to larger constellations (from various manufacturers) and designs that are predominantly transponded in nature thus allowing for a multitude of terminals and waveforms to operate on any satellite. The USAF recently released an RFP for airborne satellite communications that would rely on mixed satellite constellations from various operators using multiple inexpensive modems that would tie to each operators existing ground system—the end result being resiliency, redundancy, higher capacity and lower operating costs. Thirdly, commercial providers are able to optimize network management and bandwidth efficiency much more effectively than the DOD since their bottom line profitability depends on it. In addition, the tools necessary for defense organizations to maintain the required degree of control for their applications are now available in many systems, a good example of this being VNO or Virtual Network Operations. For some DoD networks, moving to a complete managed services model will save the DoD in bandwidth acquisition costs and more importantly in manpower costs as commercial Network Operation Centers usually are staffed at 10 percent of the level of those in the DoD or in some cases as a “lights-out” operation. The investment and innovation in commercial SATCOM technologies will continue to accelerate as illustrated by Silicon Valley’s entry into this space and the DoD will likely be unable to keep up with these advancements. With the bulk of military spending going to major weapons platforms, such as the new Long Range Strategic Bomber which will cost the DoD more than $550 million each, dependencies on what commercial industry can supply in SATCOM must increase. The ever increasing and unplanned needs for bandwidth by the DoD will continue to be met by commercial SATCOM providers. Future DoD requirements levied on commercial industry in the areas of security and protection are starting to and will continue to be met by COMSATCOM space and ground assets, as they will apply to both commercial and military customers. 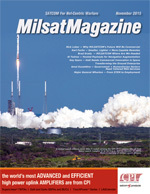 While there will always be a need for specialized satellite systems such as AEHF that solely service the military for its unique needs in providing national security, there is little question that the bulk of military satellite communications can be provided by commercial industry in a manner similar to what has occurred in military terrestrial and cellular communications. 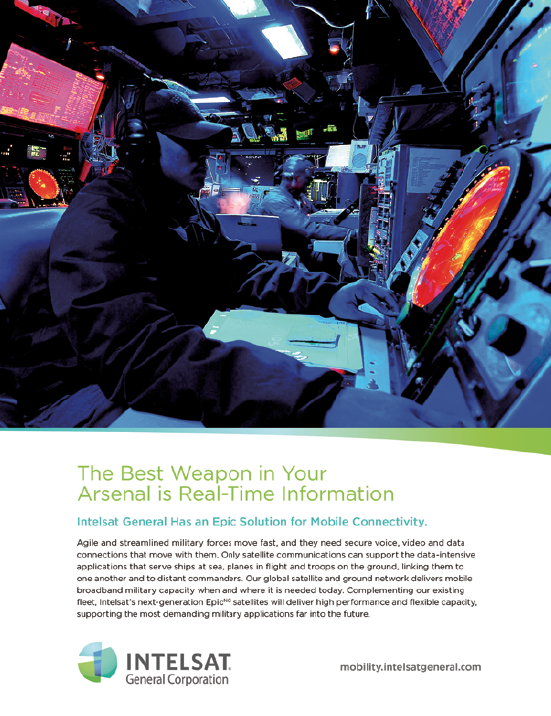 Terminal availability and enhancements, satellite resiliency, redundancy, and capacity along with efficient network management will continue to be the major elements of why COMSATCOM best serves the military needs in this time of declining budgets. 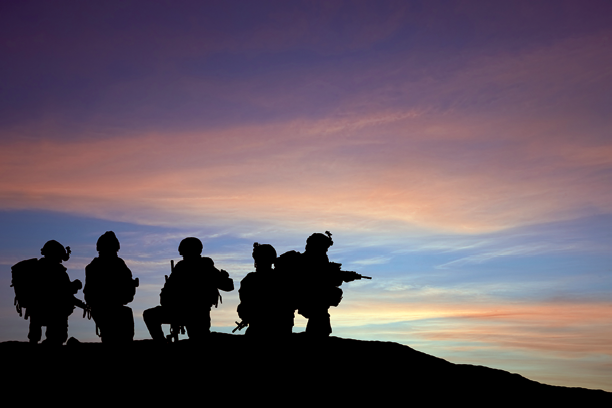 Looking toward the future, there is no reason that protected tactical communications cannot be added to the growing list of why COMSATCOM will be the future of most MILSATCOM going forward.